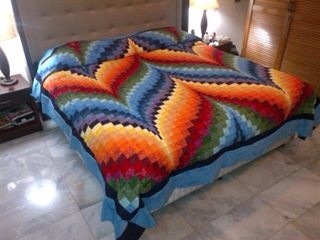 Bargello is a stunning work of quilting art that is full of motion. Waves, curves and other shapes move gracefully across the quilt top. Even it looks difficult, in fact they are easy to make if you know the technique. 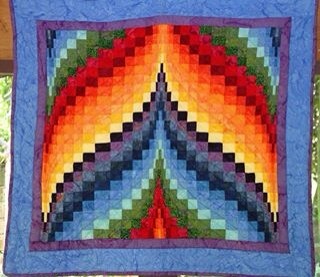 A bargello quilt is one that is made of strips of fabric sewn together to create movement. 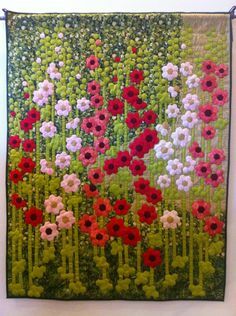 Beginner quilter can do and can make this too. 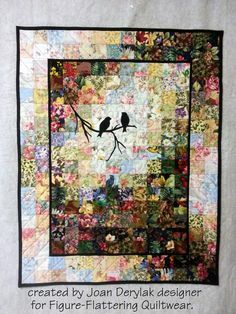 All you need is your ability to sew straight seam.Do not intimidated by the curves and shapes featured on the quilt, there is no curved piecing whatsoever. 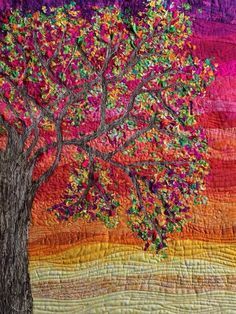 More advanced quilters find enjoyment with quilting bargello as well with the simple yet creative piecework and color play. All ranges of color are used, from light to dark. When choosing colors, there are many choices. A common option is a variety of shades in a single color family for a monochromatic quilt. Another common option is two complementary colors. Small printed fabrics can be used too. 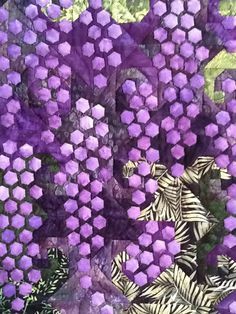 If you love batiks this quilt is for you! Batiks work perfectly for these designs. 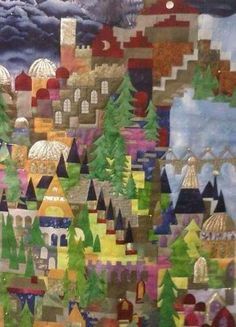 I used bali batiks whenever I make bargello quilts. Strips are cut at a specific width and sewn together. They are sewn into a strip of tubes with the seam allowances facing out. The tube is then cut into the necessary widths and opened with a seam reaper at the specified seams. After all of the blocks are finished, precise placement can form all different kinds of overall patterns. Triangles, diamonds, waves, hearts and flames are just a few of the common designs that be created.